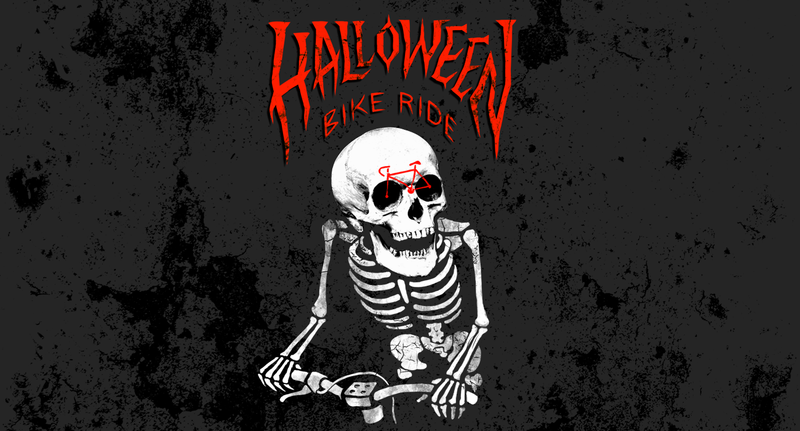 Want to help make Halloween Bike Ride extra spooky this year? Volunteer with our ride marshaling team on the ride! This year, we’re stationing volunteers at every turn along the way to let riders know what direction to go. All you need is a bike, a costume, and a good outdoor voice. It’s easy and fun! Note: Unlike in previous years, ride marshals this year will NOT be blocking traffic at intersections. Instead, riders will stop at lights and stop signs, and volunteer ride marshals will stand on the sidewalk to direct riders. Ride Leader: The Ride Leader leads the ride. We have one-two leaders. Ride Marshal: Ride Marshals station at turns and direct riders. We need a LOT of turn marshals! Ride Sweep: Ride Sweep rides at the back of the ride, hand out route cue sheets to any stragglers, and cues the Ride Marshals to join the ride again when passing them. We need two ride sweeps. What’s do I do as a ride marshal? Ride marshals help direct people where to go on the ride! We station ride marshals at every turn on the route to direct riders which way to go. You will have a 1-2 turn assignments for the entire ride. You’ll stay at your turn until the dedicated volunteer ride sweep rides by, then you join the ride again and enjoy the ride! At the party stop, check in with the volunteer coordinator! At the beginning of the ride, wait for the bulk of the entire ride to get rolling before you join the ride, and hand out cue sheets to anyone still waiting for their friends. You’ll ride slowly towards the back of the ride, bringing up the rear. As you pass by turn marshals, tell them to join the ride , relieving them of their duties. Check in with the ride leader at the party stop. Join the Boston Bike Party volunteer Facebook group! for communication and updates!